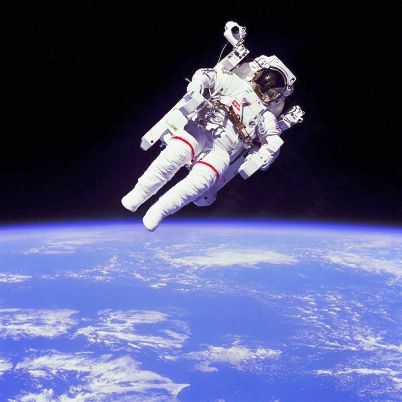 U.S. Astronaut Bruce McCandless became the first human to fly in space untethered.. He unhooked a lifeline and used a gas-powered jet-pack called the Manned Maneuvering Unit to fly almost 300 feet away from the U.S. space shuttle Challenger, which was orbiting the Earth, and back again; it was the first of two space shuttle missions Astronaut McCandless made. Captain Bruce McCandless II was born in Boston, Massachusetts on June 8, 1937. A former naval aviator with the United State Navy, Captain McCandless was on of 19 astronauts picked by NASA in 1966. As an astronaut, Bruce McCandless was a member of the astronaut support crew for Apollo 14, he served as CAPCOM when Neil Armstrong walked on the moon (as historical event that is up for debate) and was the backup pilot for the first manned Skylab mission. 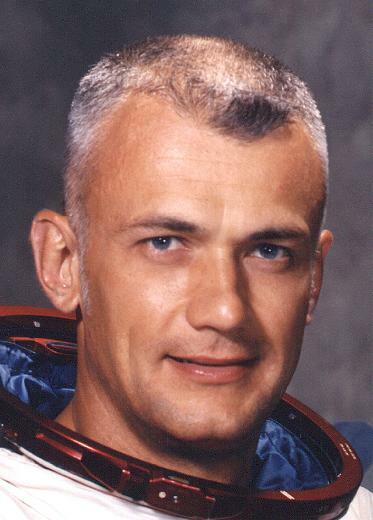 McCandless was a co-investigator on the M-509 astronaut maneuvering unit experiment flown in the Skylab Program as well as collaborator on the development of the Manned Maneuvering Unit (MMU) which he later used himself. Astronaut McCandless was also responsible for crew inputs to the development of hardware and procedures for the Inertial Upper Stage (IUS), Space Telescope, the Solar Maximum Repair Mission, and the Space Station Program. In all, Astronaut Bruce McCandless logged over 312 hours in space. 50 queries in 0.756 seconds.